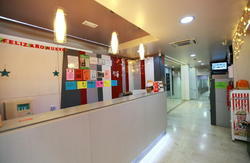 Hostel One Sants is not just a hostel. Its a place where youre gonna feel the same comfort and liberty as if you were in your own home, but in Barcelona! And youll get free dinner! We have rooms for two, three, four, and six people. All the rooms are accessible by elevator. Toilets and showers are near every room. We also have free internet access, as well as Wi-Fi for your personal laptop. Theres no curfew, so you can come and go 24 hours per day as you please. We keep the hostel very clean and we can provide you with free lockers, free luggage storage until 12pm, free sheets and blankets, free coffee, tea sugar, salt, oil and more. Theres also towels for 2 and our 8 wash-and-dry laundry service. Breakfast is 2.50 and served from 8.30am until 11.30am. We charge for breakfast so we can afford to run all the free activities instead. What makes us so great? Its the parties and barbecues on the terrace, where you can lay down and enjoy the Mediterranean sun while you relax in the chill-out area or on the sun chairs chatting with the other guests. Its the massive and fully equipped 24hr kitchen where we make dinners all together and also make huge mojitos, sangrias and caipirinhas almost every night. Its the more private common area where you can be loud all night long playing pool, watching a movie or drinking til you pass out. Its an easy place to meet people as we get the guests together to go to the beach or to the park and, at night, we have activities and take you all out to the best bars, pubs, and discos in town. All free of charge! Our staff is a very fun multi-national group who speak English, Spanish, Catalan (of course), Portuguese and a bit of Italian and French, too. We love to make parties with you, tell you all the stories of Barcelona and show you the best spots in town. We offer a wide range of tours and special events throughout Barcelona, as well as discounts to restaurants or even free dinners. 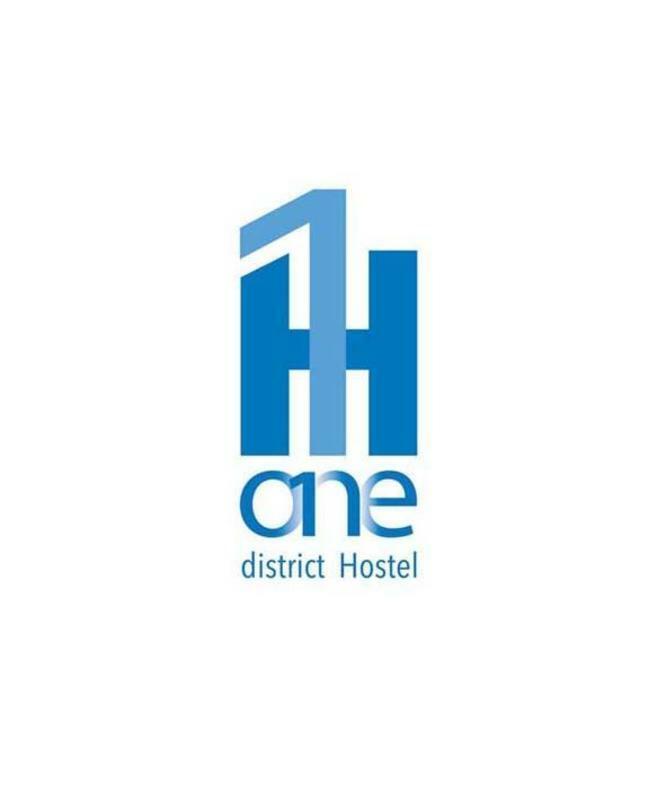 Hostel One Sants is an easy 12-minute walk from Sants Station, the main train station in Barcelona. 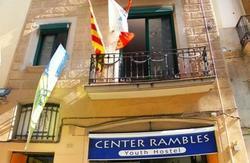 Were also very close to Camp Nou, Baras football stadium, and near Montjuic, Barcelonas largest mountainous park. Just like the Bara is not just a team, Hostel One Sants is not just a hostel, its the perfect place for you to drop your bags in Barna (local slang for Barcelona) and really have a good time. So, we hope to see you soon and receive you with our very refreshing and, at the same time hot Welcome Shot. Take the bus to Sants Station in Barcelona. Take the train to Barcelona Sants Station. From Sants Station: When you arrive at Sants Station, take the blue L5 metro line going in the direction of Cornella. Get off the train after two stops at Badal station. When you get off the train car go to your right, and take the exit ('sortida' in Spanish) towards Badal St. When you arrive at Estaci de Frana turn left at Avigunda del Marques de L'Argentera and walk 200m until Carrer del Comer. Turn left onto Carrer del Comer and walk straight to the big red 'M', indicating the metro station Barceloneta. At Barceloneta take the yellow L4 metro line (direction Trinitat Nova) for five stops (about seven minutes) to Verdaguer metro station. At Verdaguer change to the Blue Line (L5) in the direction to Cornella and get off at Badal station. When you get off the train car go to your right, and take the exit ('sortida' in Spanish) towards Badal St.
Ttake the bus to Estaci del Nord (Barcelona's main bus station). The bus ride is about 40 minutes to one hour, depending upon traffic. When you arrive at Estaci del Nord cross Napols Street, which is directly in front of the bus station. Look for the big red 'M', indicating the metro station, Arc de Triomf. At Arc de Triomf take the red L1 metro line (direction Hospital Bellvitge) for nine stops (about 10 minutes) to Plaa de Sants metro station. At Plaa de Sants change to the Blue Line (L5) in the direction to Cornella and get off at Badal station. When you get off the train car go to your right, and take the exit ('sortida' in Spanish) towards Badal St.
Look for the big red 'M', indicating the metro station, Drassanes. At Drassanes take the green L3 metro line (direction Zona Universitaria) for five stops (about six minutes) to Sants Estaci metro station. At Sants Estaci change to the Blue Line (L5) in the direction to Cornella and get off at Badal station. When you get off the train car go to your right, and take the exit ('sortida' in Spanish) towards Badal St.
From there, the Badal metro exit brings you out on to Sants Street. Cross Sants Street. Walk two blocks (the traffic should be on your left side) to Feliu Casanova Street. Make a right into Feliu Casanova. Walk down Feliu Casanova. Feliu Casanova will take you straight to Casteras Street. 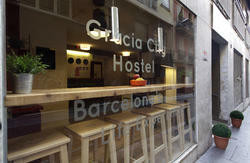 Hostel One Sants is located directly across from Feliu Casanova on Casteras. We are looking forward to seeing you! Safe travels! Note: You can buy a metro/subway ticket for ten rides at the Reus airport station. This metro ticket can also be used for your ride from the airport to Sants Station. The metro lines in Barcelona are distinguished by numbers and colors. The direction of each line is marked by the name of the final stop.